Fees associated with filing industrial design applications in Croatia as well as other design fees are available in the fee calculator. The deadline for filing industrial design applications in Croatia claiming conventional priority is six months from the priority date. This term may be restored in Croatia within one year after the due date. - information identifying the authorised representative and a valid Power of Attorney (it can be filed subsequently, within two months from receipt of the invitation from CSIPO). Multiple design applications are possible in Croatia. The industrial design in Croatia is valid for 25 years in total, namely for a five-year period renewable for no more than four times. The substantive examination of industrial designs in Croatia is not stipulated. The official legalisation of the POA form is not required for design registration in Croatia. POA must be filed within 60 days upon receipt of the official invitation from the Croatian IP Office. The certified copy of the priority document must be translated into Croatian and submitted within three months from filing the Croatian design application. - during the 12-month period preceding the date of filing of the industrial design application or, if priority is claimed, the date of granted priority. If the design application is in conformity with the formal and absolute grounds requirements, the applicant will be invited to pay the maintenance fee for the first five years. 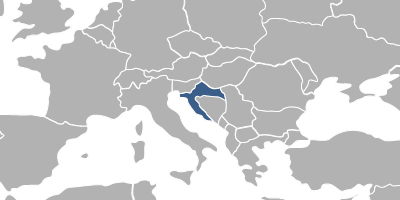 Foreigners must perform the industrial design prosecution in Croatia through an agent, a registered Croatian patent attorney. The appearance of the whole or a part of a product resulting from its features is suitable for obtaining an industrial design registration in Croatia, in particular, the lines, contours, colours, shape, texture and/or materials of the product itself and/or its ornamentation. 1. Online Search databases: Croatian Designs, Community Designs (EUIPO), International Designs. 2. Design protection in Croatia may also be obtained via registration of a Community Design.